A table top diorama of the Borodino battle. 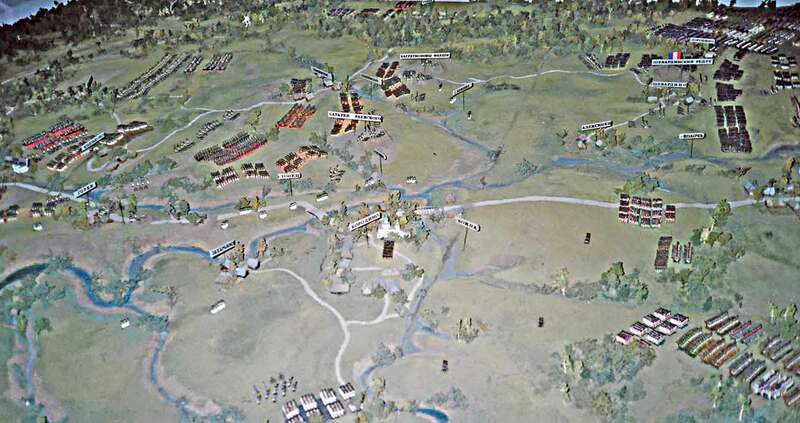 The view is from the north with Borodino village in the lower center, and Gorki (Kutuzov position) to the left and above the Kolotcha streem that flows between them from right to left. The Rayevski redoubt (battery) is directly above Borodino across the stream. The fletches are right of it. Shevardino (Napoleon's position) is on the right border of the photograph near the top.